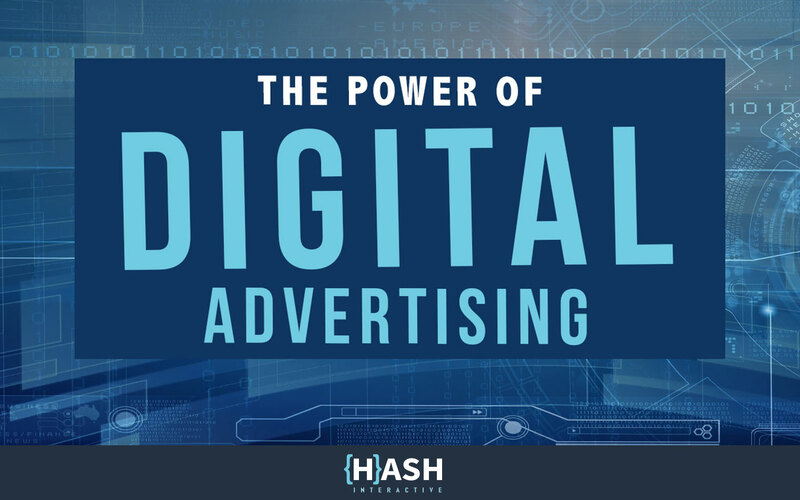 Driven by consumer behavior, emerging platforms, and intent, digital advertising connects you with the right people, in the right places, and with the most effective content. With over 4 billion searches per day, paid search ads are one of the most cost effective ways to secure ‘first-in-line’ status for those intentionally searching for your product or service – 90% of searchers never make it past the first results page. With relevant, value-driven ad copy and a user-friendly landing page, you are in control of guiding your target audience through a content-driven, memorable experience. The best part? You only pay when someone clicks on your ad. Combine effective search ads with proper SEO practices (ranking your site organically) and you secure prime real estate on search results pages – all while providing unmatched value. When it comes to traditional advertising methods, the vast majority of your efforts fall on people with no interest, or need, for your product or service. It’s simply throwing mud against the wall and hoping some of it sticks. Social media advertising is powerful. Powerful in its ability to specifically target your audience members and powerful in its ability to engage your audience with relevent and memorable content. For example, if you want a campaign to specifically target 28- to 45-year-old female homeowners, with household incomes of $75K or greater, and interest in home decor and home renovation shows, social media advertising allows you to focus your resources on this specific audience. More importantly, social media advertising allows for the use of relevant and engaging content. From video campaigns to lead form submissions, you connect with your audience through unique, engaging, and memorable experiences. It’s the age of the empowered consumer. With a willingness to conduct thorough research before committing to a brand, it’s important to continually add value and remain top-of-mind. Through effective retargeting, you maintain your presence, without being disruptive, throughout a searcher’s research journey. As the lifeblood of effective marketing and branding, in-depth and intuitive data allows marketers to continually improve strategy, lead numbers, and ROI. Traditional advertising data is based on pure speculation. With the data generated through social, search, and website analytics, we are provided detailed insight into who is engaging, when they are engaging, how they are engaging, whether or not they are converting, and what we can do to improve. The access to, and use of, this data is becoming increasingly crucial to an organization’s marketing success. 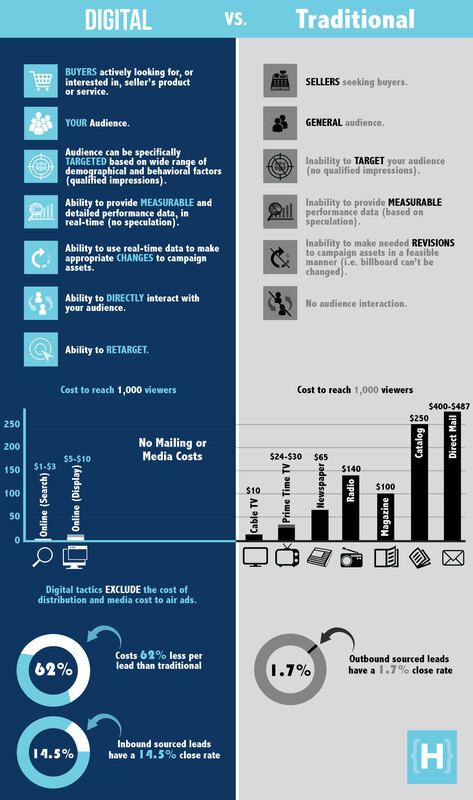 While we understand it may still be in your best interest to allocate a portion of your budget to traditional advertising, the unparalleled versatility possessed by digital advertising is your opportunity to engage with your audience on the most effective level. If you are interested in learning more, we would love to chat. Take a quick second to fill out the form below or just give us a ring.